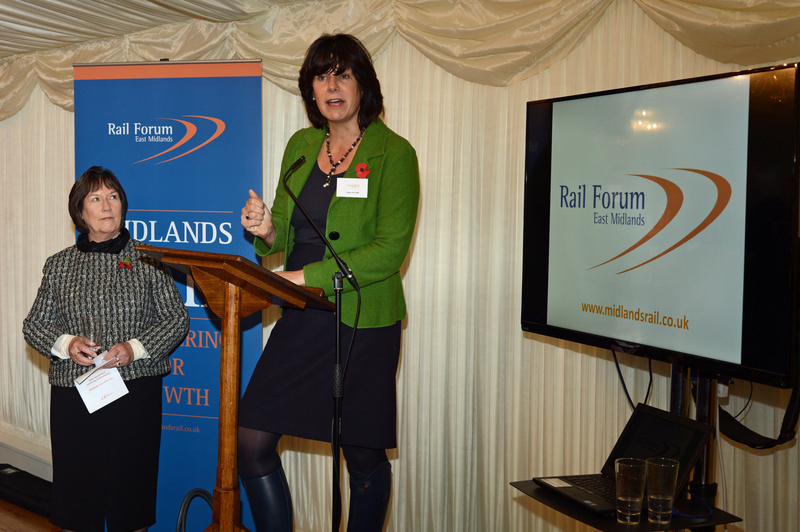 Derby & Derbyshire Rail Forum has rebranded itself Rail Forum East Midlands. 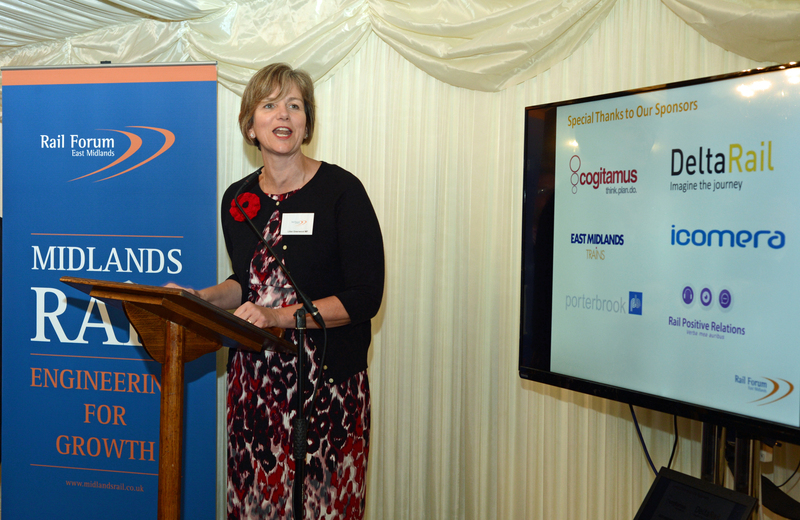 The ‘new’ organisation held a very successful Parliamentary reception in the House of Commons yesterday which was hosted by Pauline Latham MP and attended by numerous companies from across the East Midlands. These included representatives of major employers like Alstom, Bombardier & Hs2 Ltd as well as SMEs like RVEL, Delta Rail and Icomera. Guests heard some very positive speeches from politicians too. First up was the Under Secretary of State for Transport Claire Perry. She was upbeat about future investment & expansion in the UK rail industry, leaving the feeling the Chancellor’s forthcoming spending review holds no concerns for rail. Nottingham MP and Shadow Transport Secretary Lilian Greenwood spoke afterwards, praising the value of rail to the East Midlands economy. She gave no comfort to the anti Hs2 campaign when she mentioned Labour’s (and her) continuing support for building the line. 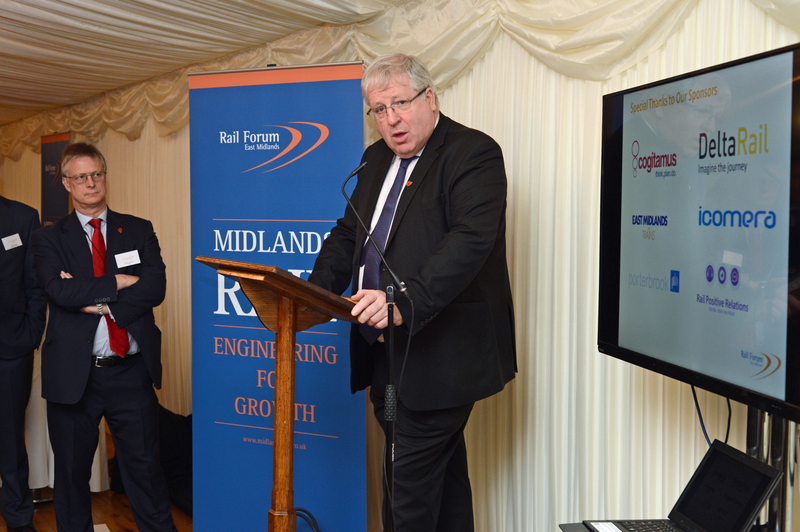 The final speech was delivered by Transport Minister Patrick McLoughlin. He mentioned how once a Transport Minister mostly spoke about roads but now talks mostly about rail. But it wasn’t just talk. He also confirmed that Porterbrook leasing were to invest in another 20 four-car Class 387 trains from Bombardier in Derby. You can find Porterbrook’s press release on the deal here. You can find a larger selection of pictures from the event by following this link.